The five museum sites across Barnsley – Experience Barnsley Museum, Cannon Hall Museum, Park and Gardens, Cooper Gallery, Elsecar Heritage Centre and Worsbrough Mill Museum and Country Park. Barnsley Museums provides innovative ways to explore heritage, arts and culture through vibrant learning programmes which delight, engage and inspire young people of all ages. Having five museum sites across Barnsley means that we are able to deliver unique opportunities for pupils to discover and learn new things. Barnsley Museums Learning offers a wide range of workshops for Primary and SEN school groups, which support learning across the curriculum. Our workshops encompass a wide variety of subjects, including Local History, Geography, Art, English and Design Technology. 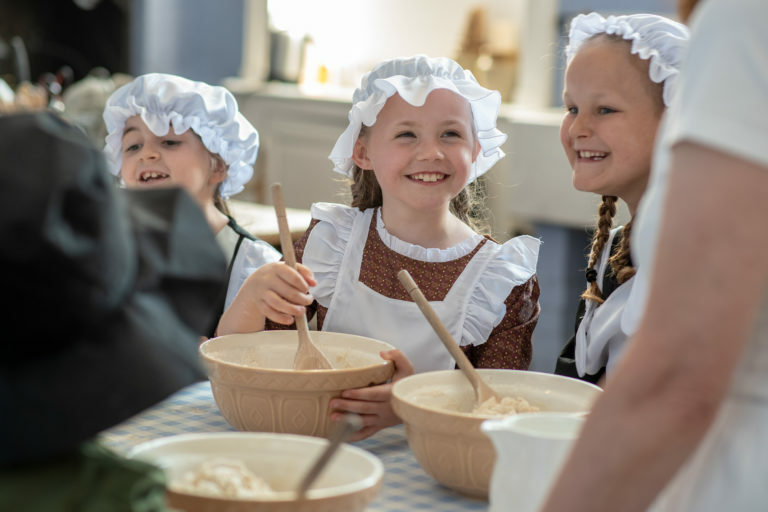 Workshops include immersive experiences in the Victorian kitchen at Cannon Hall, creative writing using our unique collections as inspiration, exploring local coal-mining history at Experience Barnsley and learning the principles of portraiture at the Cooper Gallery. Pupils develop their skills through a range of activities; from object handling, drawing and writing to observation, discussion and investigation.